Ellilta (previously known as Women-At-Risk) in Ethiopia have three categories of programs that they run – rehabilitation for the women wishing to exit prostitution, outreach and intervention to those who are vulnerable and at risk of entering prostitution (including many children of the programs) and prevention, where they seek to create awareness about the negative impacts of prostitution to the wider community. The prevention education program has been running for the last six years, and the perseverance of the staff to keep on getting the message out there is really starting to reap rewards. 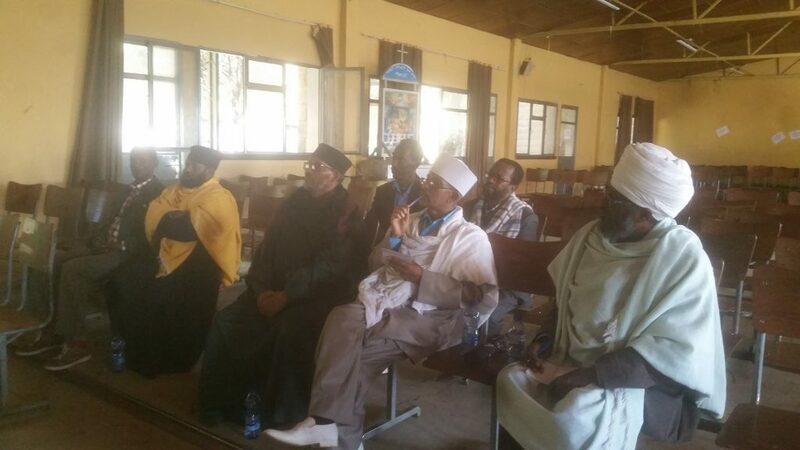 The program works with religious institutions and high schools to reach out the community, and with regard to the church community, the focus is The Evangelical and Ethiopian Orthodox Church (EOC). The aim is for 5 representatives from each church to attend Training of Trainers which is organized by EWAR. By the same token 20 teachers will be part of the TOT and after completing the TOT, both the church and high school are expected to incorporate the issue of prostitution in their teachings. ‘Priests are spiritual fathers of congregants, listening to confessions, offering prayers and advice during joyful and hard times. One of the St. George church priests was recently asked by a church family to bless their newly rented home. When he enquired more, he was told that the family were moving to a smaller house, with a desire to rent their big house to earn extra income. Their plan was to rent the house as a ‘PENISION’. Thanks to a discussion around renting out houses on the EWAR Prevention Education programme, and some night visits that the priest had been on, he had gained an understanding of what ‘PENISIONS’ are used for – room rental by the hour, for prostitution purposes. This might seem like a small step – but the outcome is one less PENISION in the city and one more educated family, as well as more educated priests. And for every action like that there can be a number of ripple effects that we might not know about, as people interact with others, and conversations are shared, and more people become educated and have their assumptions and perceptions challenged. – The issue around prostitution, and the services of rehabilitation cannot be the burden of EWAR alone but all churches and believers. They often talk about how they can motivate the Central Office of the denomination enough to set budget so that churches can be involved in rehabilitation programs. ‘It is very exciting to be among these men as they passionately discuss and try ways to influence their greater body of denomination past their individual commitment and influence. This confirms the need for greater work around prevention, which will have influence on wider population through the churches.